Lake Tahoe first emerged as a tourist destination in the 1930s as a post-WWI ski spot, and has evolved into a world-class brand. This precious stretch of the Sierra Nevada range straddles Nevada and California, and travelers can experience a rugged backcountry adventure or modern mountainside luxury. Or possibly a bit of both. Sugar Bowl Village. Photo by Kerri Allen. For a feel of old Tahoe, Sugar Bowl Resort in Norden, CA has the oldest operating gondola on the west coast and was the first mountain open to travelers in 1939. Unlike the many resorts and services that court San Francisco's tech elite, Sugar Bowl is come-as-you-are. The gondola isn't heated, the café offers little beyond chili and beer, but its reputation as being the friendliest mountain is well deserved. Sugar Bowl claims the most snow in Tahoe and its backcountry is a hard-core adventurer's playground. "Uphill skiing," or skinning, is gaining popularity as travelers look beyond the groomers for authentic, old-school experiences. "I left my avalanche shovel in the car," Peter Avidschmidt, a fit local skier in a trucker cap, explained to me as I contemplated a thigh-scorching haul up a snow-covered mountain. I decided instead that good ol' downhill skiing would be challenge enough to kick off the season. Entry to Clair Tappaan Lodge. Photo by Kerri Allen. A snowball's throw up old Hwy 40 from Sugar Bowl is the Clair Tappaan Lodge. This vintage wooden structure was built in 1934 by a group of outdoor enthusiasts called the Club Sierra, with the support of a wealthy California judge named Clair Tappaan. Over time, the Sierra Club, as it came to be known, skied off in a different direction but the grand historic lodge has survived under new ownership, and volunteer support, to this day. There are 27 rooms with simple bunk beds and four shared baths. Three family-style meals are ladled up each day on a set schedule. But for those itching to get even further off the grid, the Clair Tappaan manages four backcountry huts across its 75 acres, each with a wood burning stove. But for those who prefer Uggs to snowshoes, there's plenty of modern-day Tahoe, where vacationers don't have to look far for $530 massages, artisanal marshmallows or ski valets. 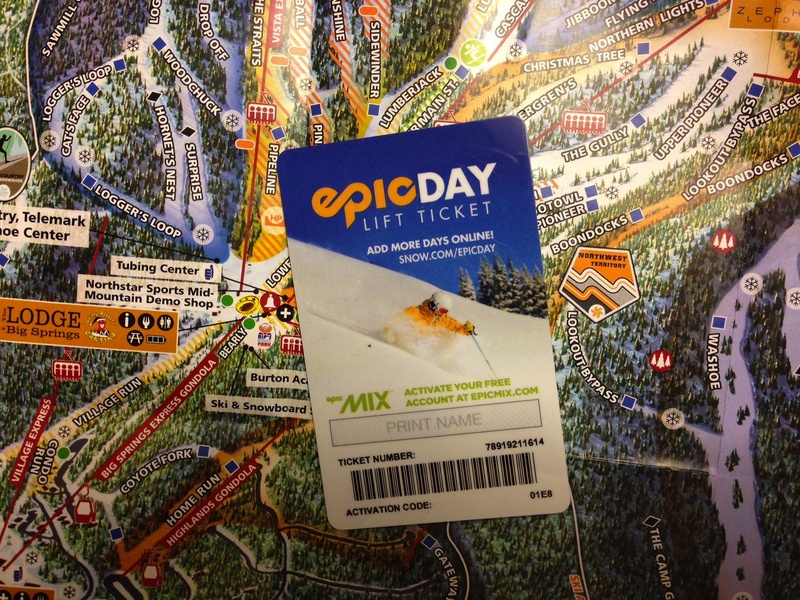 Northstar California lift ticket and trail map. Photo by Kerri Allen. I'm not as rugged as my childhood Girl Scout sash would imply, and I ultimately landed at Northstar California, a highly manicured upscale resort. Previously Northstar-at-Tahoe, Vail Resorts purchased the resort in 2010 and has poured $30 million in upgrades to it since then. Gone are the old lift tickets dangling from your zipper. Here, they've been replaced with a scannable card that links to the EpicMix app that records your daily vertical feet skied or ridden, updates you on lift line wait times and even offers a one-click ski patrol function. Northstar's mini-mall style village has a Starbucks and a Patagonia store along its perkily paved paths. I bristled at all of the overt curation at first, but Northstar's beautifully groomed trails, digital updates and daily complimentary Champagne toast at the top of Mt. Pluto eventually won me over. 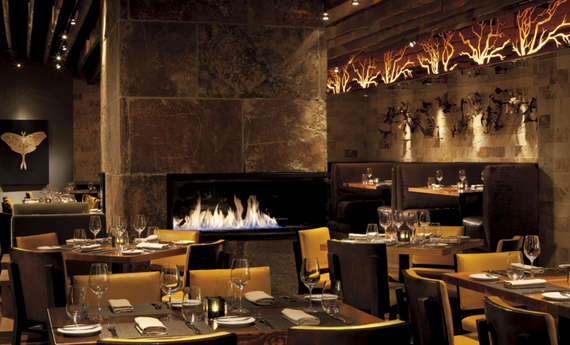 The Ritz-Carlton's Manzanita restaurant. Courtesy Ritz-Carlton. Feeling pampered and prepped, I hustled down the trails (12,774 vertical feet on day two, according to EpicMix) and desperately wanted some après ski rejuvenation. It was no small luxury to ski directly to the doors of the seven-year-old Ritz-Carlton and escape into the spa for a massage and a soak. At dinner, I admittedly didn't really miss the bottled IPA, while enjoying a Shafer Napa Valley 2013 Merlot at Manzanita, the Ritz's on-mountain restaurant. 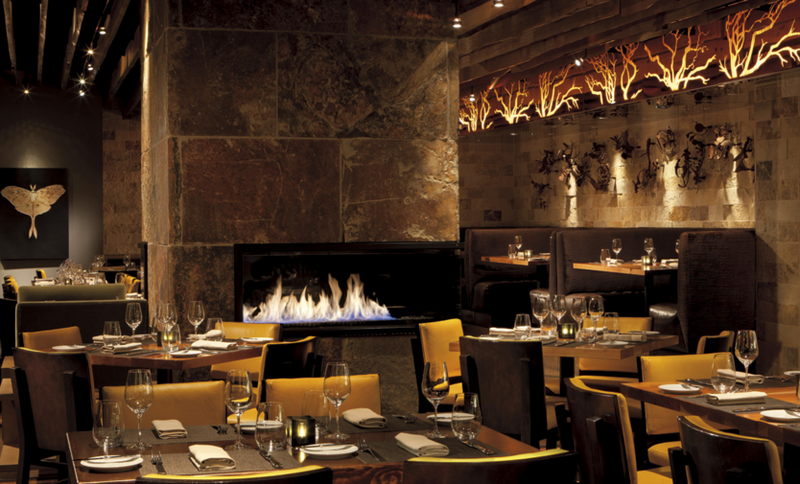 Whether you want to huddle up in a hut or flip on a fireplace in a four-star suite, Tahoe can serve up an unforgettable winter adventure for any kind of traveler. Opinions expressed are my own. I received no monetary compensation from any mentioned parties. This post contains no affiliate links.